I started Swimming Pool Creations with the main objective to provide you with a beautiful life long vacation right outside your back door. We are not your average swimming pool contractor. The owner will come and visit with you and let you know what is possible and give you advice so your pool best fits your yard. The owner of (SPC) will be on the job from start to finish so you never have to talk to a third party to get answers. 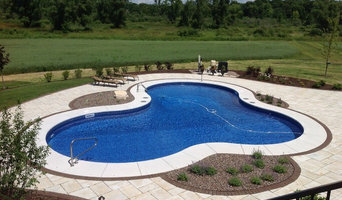 Installing inground swimming pools in Wisconsin and northern Illinois for 26 years and servicing all make of pools and equipment. We stay informed of new products as they become available to help make your investment as user friendly and energy efficient as possible. We attend manufacturer training classes. Over the years we at Boilini Company have altered our design in many ways to improve the product we deliver to the customer. 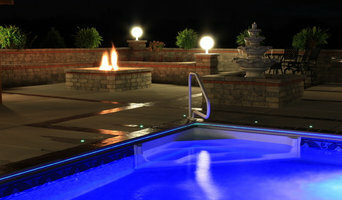 This has led Boilini Company to be recognized as the best pool builder in the Chicago-land area. Our reputation with cities and villages, along with prominent builders and architects in the area, has enabled us to grow without one dollar spent on advertising. Our family business originated in 1920 in Highland Park, IL as a concrete and masonry company, where we built many of the historic buildings along the North Shore. In 1973, I began working with my brother Louis, carrying on the Boilini Company name that my grandfather had created. Today, I am joined by my two sons, as we seek to continue providing quality work in a timely fashion. Our goal is to never copy others; but to analyze and innovate in order to improve our design. After cleaning and repairing pools for years, Randy Finco started selling, installing and servicing pools full time in 1979. In 1991 he opened the store front located at 400 N Main Street in Thiensville. He and his wife Allison continue to expand the scope of their business, most recently to include fiberglass pool installations. They keep their staff up to date and knowledgeable about proper pool and spa maintenance to provide the best possible service to their wide customer base. The store is open seven days a week, all year long, and they provide free water testing to see how well your pool and/or spa water is balanced or if it needs a little help. Feel free to stop in for a free water test, check out our spas (GREAT deals on floor models!) and a plethora of Milwaukee pool and spa toys and accessories! We listen. We design. We deliver. When you work with Sonco, we’ll design your pool and spa to match your lifestyle and budget as well as its surroundings. We will skillfully guide you in selecting custom features such as coves, waterfalls, fire features, barbecue pits, pavilions and so much more to make your backyard escape a unique place year round. We have a deep understanding of color, texture, pool lighting, landscaping and ergonomic flow that can make your backyard livingspace completely unique to your desire. Imagine your backyard as a daytime play ground and a nighttime destination full of wonder and romance. Our professional designers and installation experts can make it happen! Call or contact us today to learn more. Swimming pool builders and hot tub repairs. Swimming pool & hot tub repairs including pumps, filters, liners, valves and more on vinyl in-ground pools, indoor pools & hot tubs in Waukesha, Milwaukee, New Berlin, Richfield, Brookfield, Cedarburg, Delafield, Pewaukee, Eagle, Fox Point, Whitefish Bay, Franklin, Germantown, Glendale, Greenfield, Hartford, Jackson, Mequon, Mukwonago, Muskego, New Berlin, Oconomowoc, River Hills, Sussex, Thiensville, and New Berlin in SE Wisconsin. 100% Satisfaction Guaranteed. Aqua Pool & Spa Pros is a spa and pool provider in Lindenhurst, IL, serving Chicago’s northern suburbs. We have everything you need to get the most from your swimming pool. We offer service, supplies, repairs, and a complete line of name-brand spas and pools. What exactly do Muskego pool builders do? If you are planning for a new pool in Muskego, WI, a swimming pool builder will analyze your outdoor space and your aesthetic wishes to determine an appropriate design for your yard, installing it once the plan is developed and approved. Once installed, some pool companies in Muskego, WI can handle the necessary cleanings, water testing, renovations and equipment replacement or repairs for your pool or spa. If not, many can also suggest Muskego, WI swimming pool contractors or maintenance services to help with upkeep or repairs down the road. Here are some related professionals and vendors to complement the work of swimming pool builders: Garden & Landscape Supplies, Landscape Architects & Landscape Designers, General Contractors, Landscape Contractors, Solar Energy Contractors. Before hiring a swimming pool construction company to create your new Muskego, WI pool, determine how you'll be using it. Will it be for fun or for lap exercise? Will the primary users be children, adults or a mix of the two? Knowing the use can help you find Muskego pool builders who shares your aesthetic. Once you find swimming pool builders in Muskego, WI who share your style, research is critical. Review customer references and comments, collect at least three to four estimates to compare, meet with potential Muskego pool designers and builders in person and ensure that they are Wisconsin certified service professionals and licensed with the registrar of contractors before making any final decisions. In addition, get a sense whether they plan to complete the pool installation and be done with it, or whether they seem interested in building a long-term relationship with you. Be wary of the former: it's likely a reflection on the level of quality of the pool construction they do. Find a Muskego pool contractor or designer on Houzz. 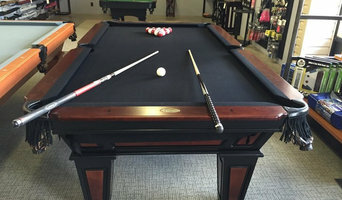 Narrow your search in the Professionals section of the website to pool builders in Muskego, WI. You can also look through Muskego, WI photos by style to find a pool or spa you like, then contact the local pool company who designed it.